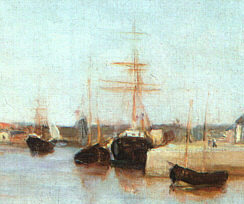 The Harbor at Lorient was painted when Berthe Morisot visited her newly married sister, Edma Pontillon, in the summer of 1869. Edma was living in Lorient because her husband was a navy man and she did not yet have any children. Consequently the two women were free to spend their time visiting friends and painting outside. 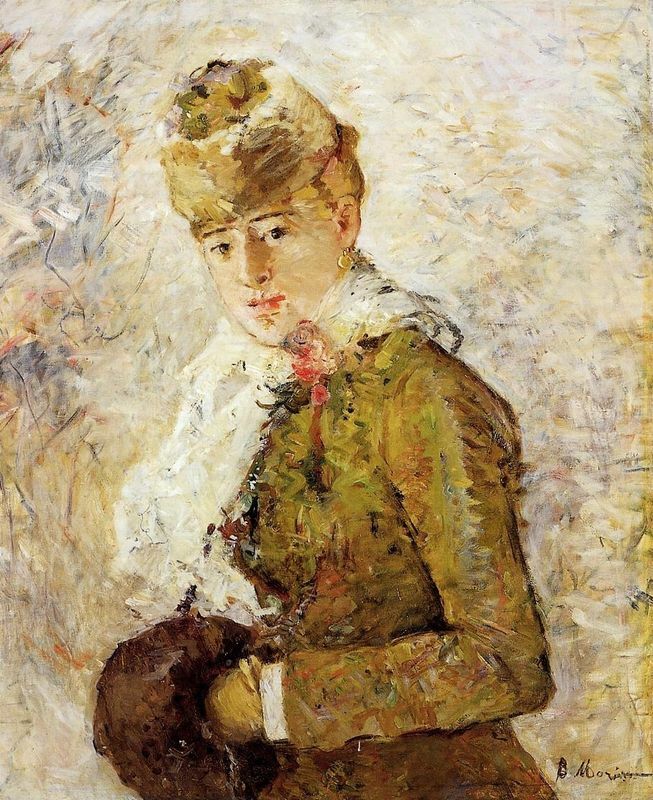 Berthe Morisot was experimenting with her painting method and working in a highly Impressionist style. Edma was the subject of many of Morisot's portraits both before and after her marriage but since she had been married the two women had not spent a great deal of time together and must have missed each other terribly. When Morisot returned to Passy with The Harbor at Lorient she anxiously showed it to her artist friends and colleagues. Her nervousness was ill-placed as her friends declared it one of her best works. 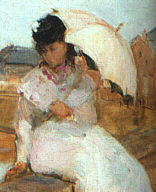 It demonstrated Morisot's experimentation with different brush strokes, light and color and Manet admired it so much that Morisot gave it to him. The Harbor at Lorient was so well-liked by Morisot's friends that it was displayed in the Impressionists first showcase. It is now housed in the National Gallery of Art in Washington DC. The Harbor at Lorient was a transitional painting for Morisot. She was beginning to paint in a thoroughly Impressionist style and exploring the artistic direction she wanted to move in. Her color range was expanding, her lines were becoming less harsh, and her brush strokes more disjointed. She wanted to create The Harbor at Lorient to prove to friends and critics that she had her own artistic technique. 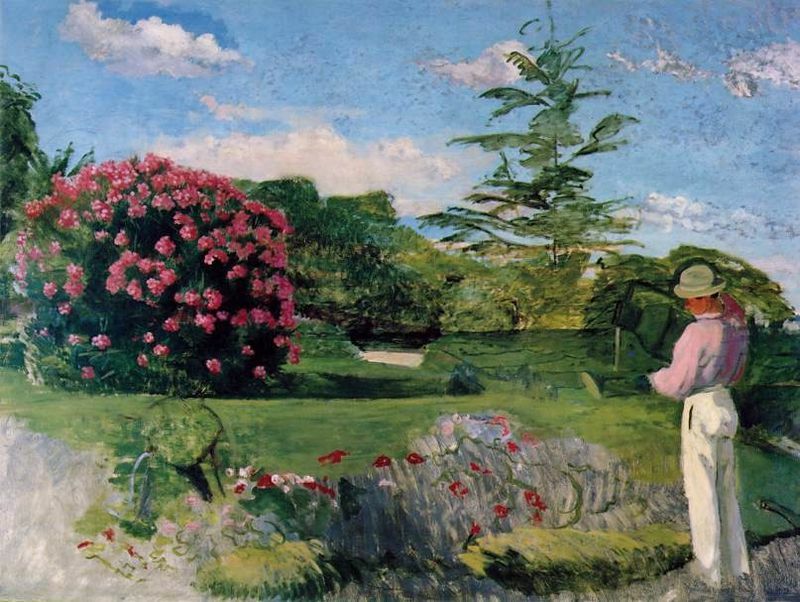 Morisot has also recently seen paintings by Frédéric Bazille and was very impressed by his extensive use of color. Bazille blended his colors together to a great extent and Morisot wanted to copy his style. Bazille was particularly talented at painting pieces that took the viewer's attention away from the figure in the forefront. He created works where the model was not the focus of the piece but the landscapes behind them, as seen in The Little Gardener. The Harbor at Lorient replicates this and the eye is very much drawn to the sky's reflection in the water. Furthermore, The Harbor at Lorient is a piece that expresses both movement and the future. The boats in the background are leaving from the port and moving onto another location. It was symbolic of Morisot to create this work because the painting indicates her movement into Impressionism. It was no accident that the artist created a piece where the traditional woman's face is not clear (meaning that Edma could be symbolizing Morisot herself) and the boats are leaving their moorings. She was inspired to center on the boats and the water because they represent her progress and advancement as an artist. The wide blue sky and its reflection in the harbor are the central images of The Harbor at Lorient. The boats mirrored in the water capture the viewer's attention alongside the sky's cloud cover. Edma - sat on a stone parapet to the right hand side of the image - only occupies a small section of it. The Harbor at Lorient is a bright painting with golden and sky blue shades. The vivid colors and the distinctly yellow hues give the viewer an impression of sunlight. The Harbor at Lorient is lit from the right hand side which is clear from the line of shading that runs across Edma's body. Her parasol protects her face from the sunlight but the bottom of her dress is radiant in the sunlight. The tone of this work is merry and positive. Edma is wearing a bright dress and has a vivid white flower in her hair. The luminous shades of the painting and the scenic view of the boats on the harbor produce a relaxing and blissful scene. Morisot used a broad paint brush when she created this piece and the strokes were rapidly placed onto wet paint to produce a textured and indistinct effect. Consequently the work best viewed from a distance. The Harbor at Lorient was showcased at the Impressionist's first exhibition, which was held in the photographer Nadar's studio. The critical reception of the exhibition was famously bad, ill-received by both the critics and the public alike. Roughly 3,500 people attended and admired the easy layout of the works (unlike in the Salon where paintings were all stacked on top of each other). However the compositions themselves were ridiculed by many. The Harbor at Lorient's critical reception was bound by the viewers' perception of what good art was. As a very modern painting with brush strokes that appear to be offhandedly placed onto the canvas, the viewer is left with the sensation that it has been painted very spontaneously and casually. Furthermore, compared with many of the other compositions that were exhibited The Harbor at Lorient has an unfinished feel. Many of the works submitted to the Salon jury were highly glossy pieces with lucid finishes. But The Harbor at Lorient is an avant-garde piece that played with texture and flooded light. Consequently the work was mocked by some as only half completed because it did not match their idea of an accomplished composition. 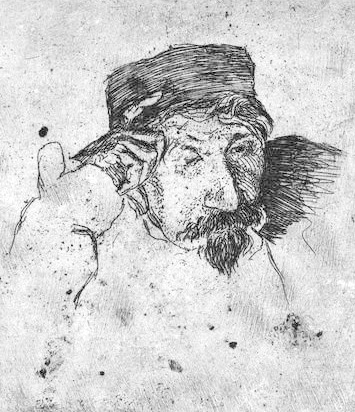 Morisot's old teacher Guichard maintained that Morisot needed to forget about Impressionism and return to duplicating paintings at the Louvre. Yet, Morisot's friends and colleagues declared that The Harbor at Lorient was among her best work with Manet labelling it one of his favorite Morisot paintings by her. As a nervous woman who had little faith in her painting's quality Morisot valued her friend's opinions. The Harbor at Lorient was admired for its use of perspective and color. Although it was revolutionary because of its unfinished feel and unusual use of color, the reflection of the surroundings on the water was highly impressive. 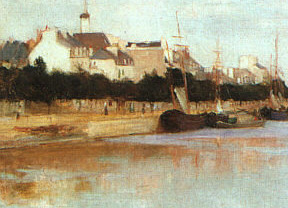 The Harbor at Lorient was only exhibited once during Morisot's career. However after her death it was displayed in a large number of countries and has been well-received by its many viewers and critics who today acknowledge it as one of Morisot's foremost Impressionist paintings. 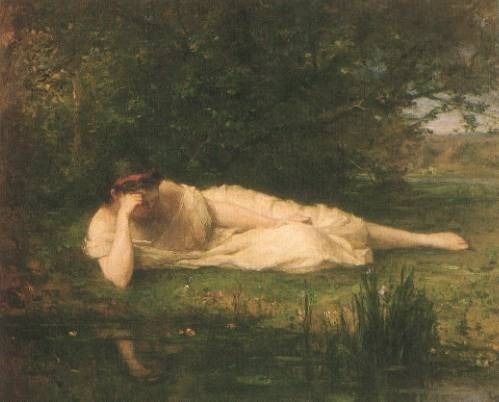 At the Water's Edge is one of Morisot's early compositions and is quite different to many of her later works. Firstly, there are harsher lines used on the canvas. The outline of the girl looking at her reflection in the water is clear and there are large contrasts between the model and nature. Also, unlike in Morisot's later paintings, the hand of the girl in At the Water's Edge is well drawn and clear, different to Edma's features in The Harbor at Lorient. In this later composition Edma's face is indistinguishable. At the Water's Edge is an interesting composition because it shows one of Morisot's first attempts at painting reflections in water. Though, unlike The Harbor at Lorient the main focus is on the girl and not the water. Morisot famously influenced Manet to widen his color palette and her sway can clearly be seen in this picture with its bright, light colors and indistinct lines. Although Manet never abandoned his liberal use of black, the golden reflections in the water are similar to Morisot's tones in The Harbor at Lorient. Berthe Morisot was born in Cher, France, in 1841 to wealthy parents who could afford to pay for expensive art and music tuition. However, from an early age Berthe Morisot and her sister Edma knew that they wanted to be artists and not musicians (although they were very accomplished on the piano). Their parents arranged for them to have art lessons from the instructor Guichard who took them to the Louvre to copy the works of the great masters. Unsatisfied with Guichard's teaching methods they switched to the instructor Corot. Corot allowed to the two girls to paint en plein air and his influence can be clearly seen in The Harbor at Lorient. He also enjoyed seeing the Morisot's work focus on female scenes. The reflection of the fluffy clouds in the water and Edma sat in modern costume are both womanly. Impressionism was a nineteenth century art movement that grew in Paris. 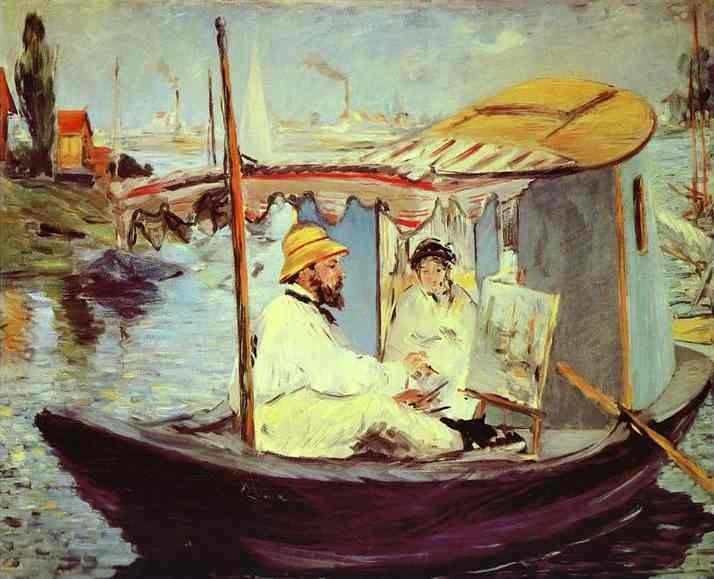 The term Impressionist was first coined by the critic Louis Leroy who used it derogatorily in a satirical review. 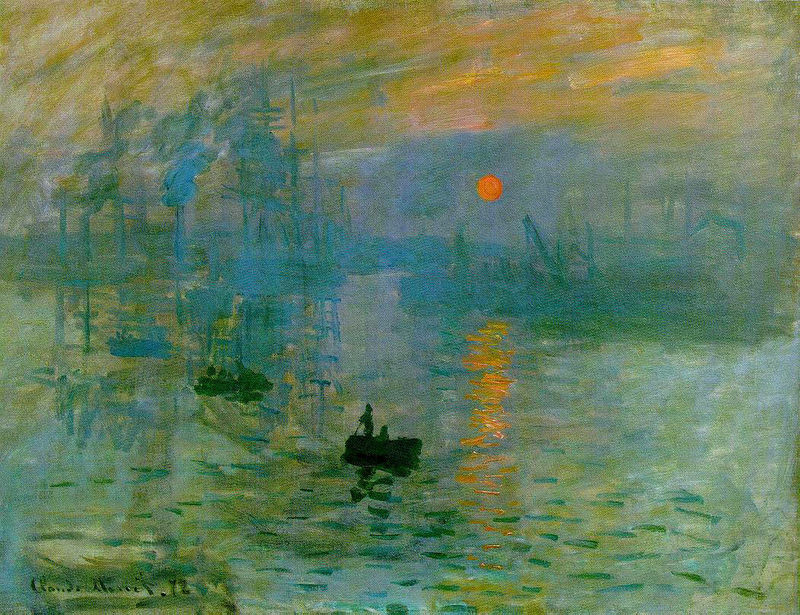 He took it from Claude Monet's painting 'Impression, soleil levant' (Impression, Sunrise) . However the artists became fond of the term and adopted it themselves. Berthe Morisot had already been introduced to the Impressionists through her good friend Manet when she painted The Harbor at Lorient. However the movement was not fully established at this time and the artists did not hold their first exhibition until 1874. The Harbor at Lorient was well-liked by the other Impressionists for its fluid paint work and bright colors. 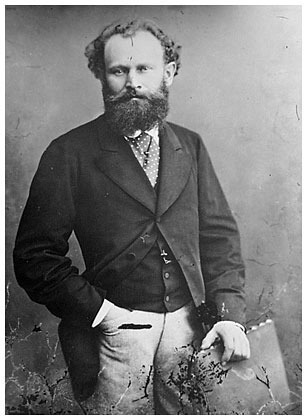 The movement broke up in the 1880s although the artists remained good friends. Although Morisot continued to paint in a consistently Impressionist style others such as Pierre-Auguste Renoir began to paint in a more traditional manner.